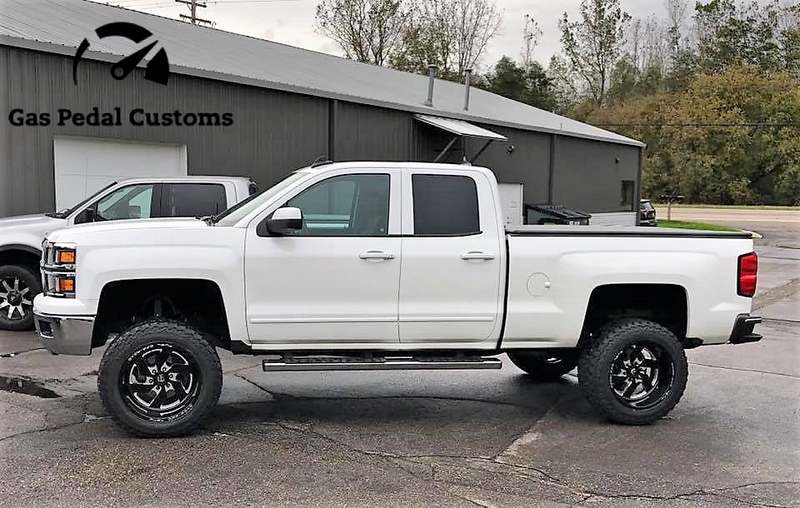 Custom built truck, truck lift kits, truck leveling kits, accessories, lights, wheels, tires, tonneau covers, superchargers, floor mats, and more. 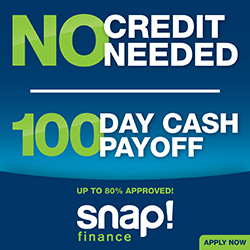 Gas Pedal Customs will create a package that’s right for you. 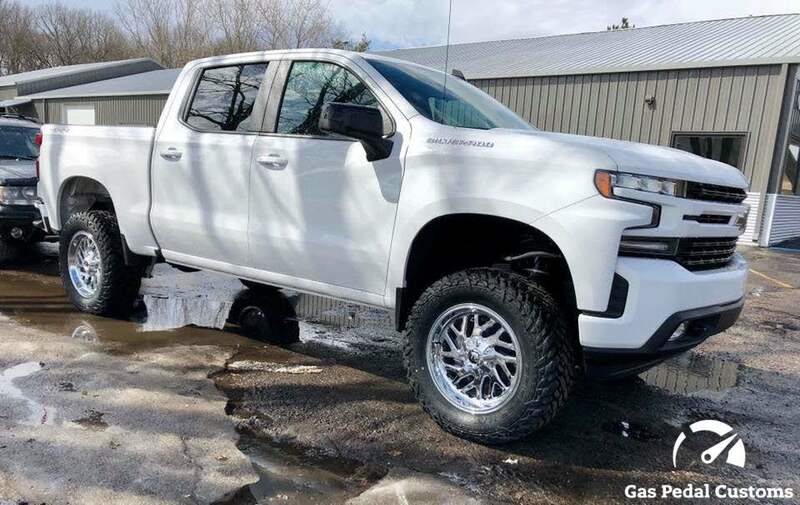 Check out our RACE, TOW, and LIFT packages for more inspiration! 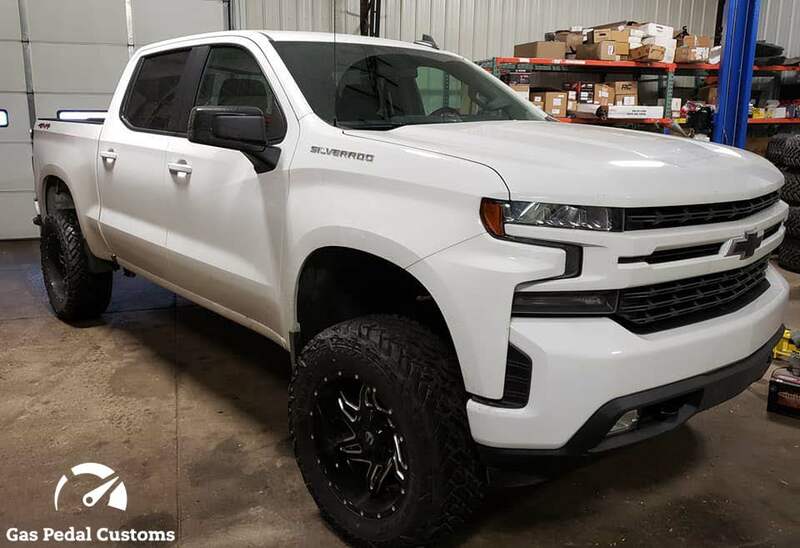 2019 Chevy Silverado with Pro Comp suspension, Fuel wheels, and Fuel tires. 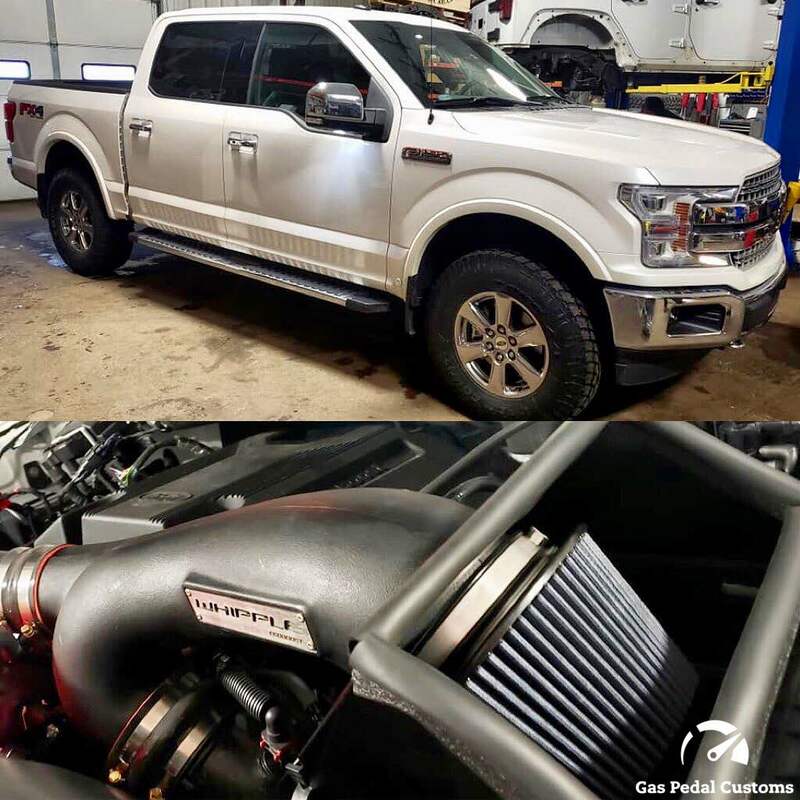 2019 Ford F-150 with Whipple Superchargers inter-cooler, intake and custom tuning (additional 75 hp & 140 torque). 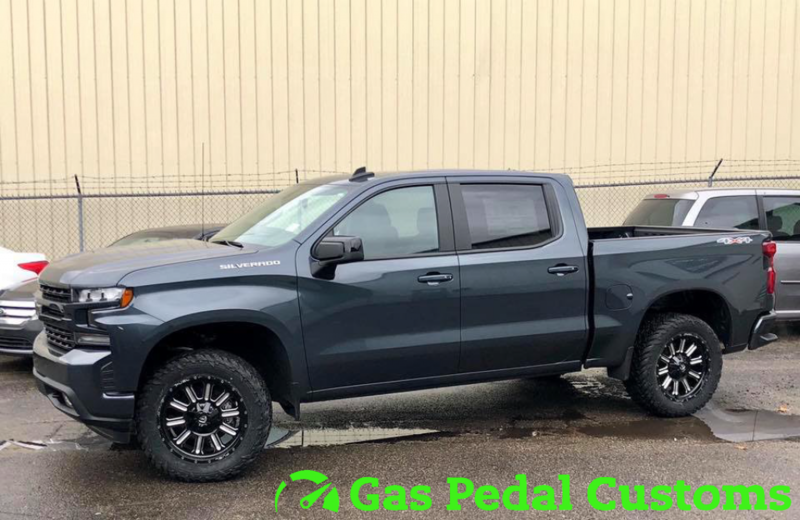 2019 Chevy Silverado with Pro Comp suspension, Fuel Offroad wheels and Fuel Gripper M/T tires. 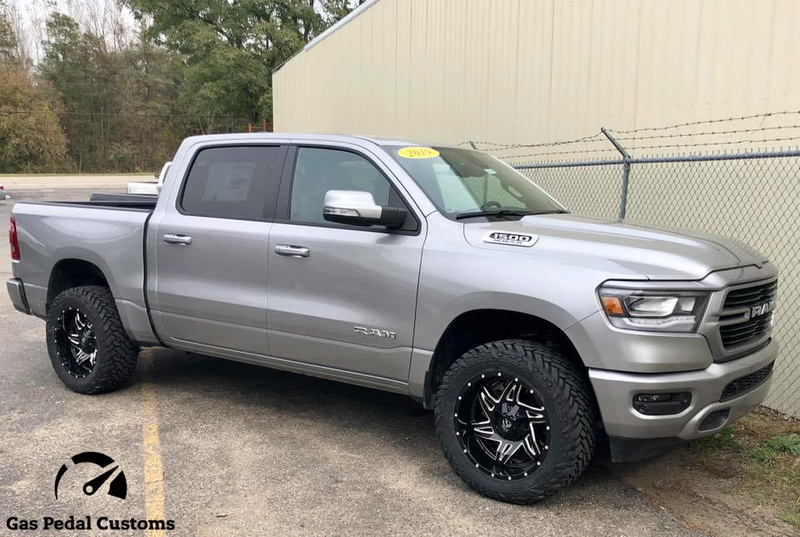 2019 RAM 1500 with Fuel Offroad wheels. 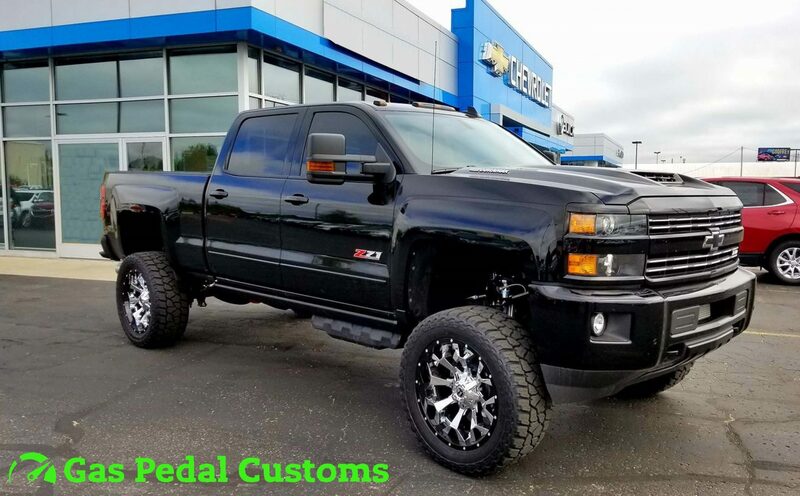 Chevy Silverado 3500 HD Dually with Fuel Offroad Forged wheels and Nitto tires. 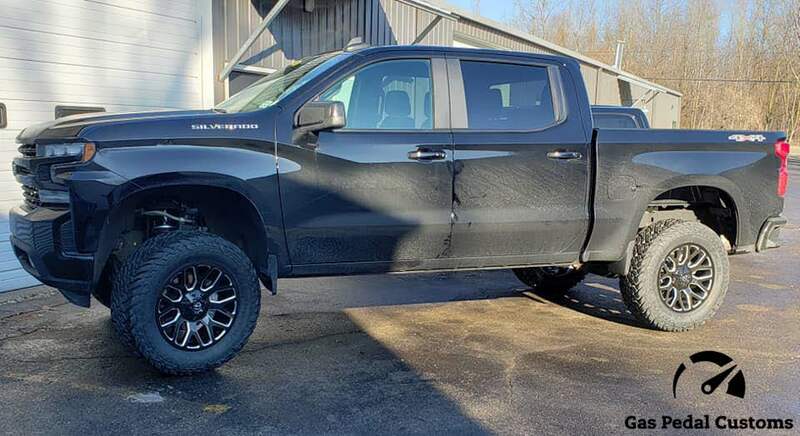 2019 Chevy Silverado with a leveling kit, Fuel wheels, and Fuel tires. 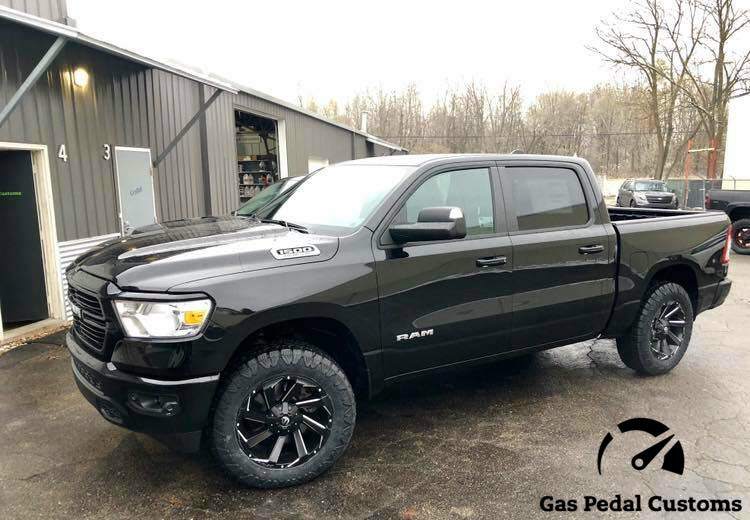 2017 RAM 1500 with Fuel Offroad CONTRA wheels and Fuel tires. 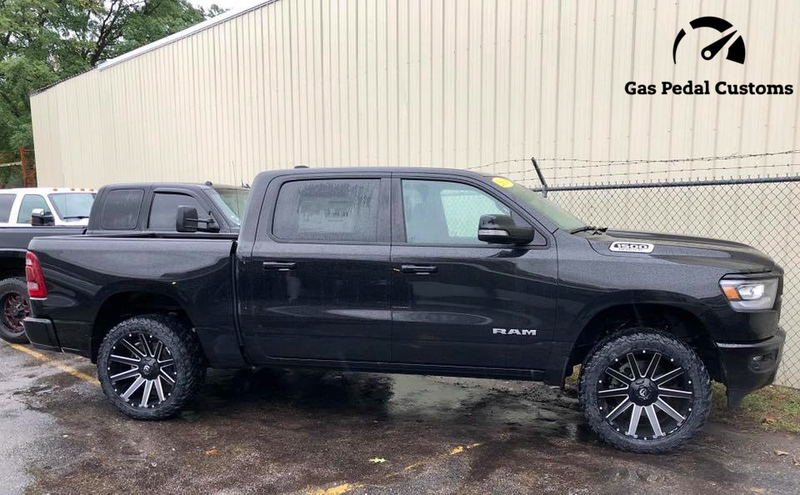 2019 RAM 1500 with Fuel Offroad ROCKER wheels and Fuel Gripper M/T tires. 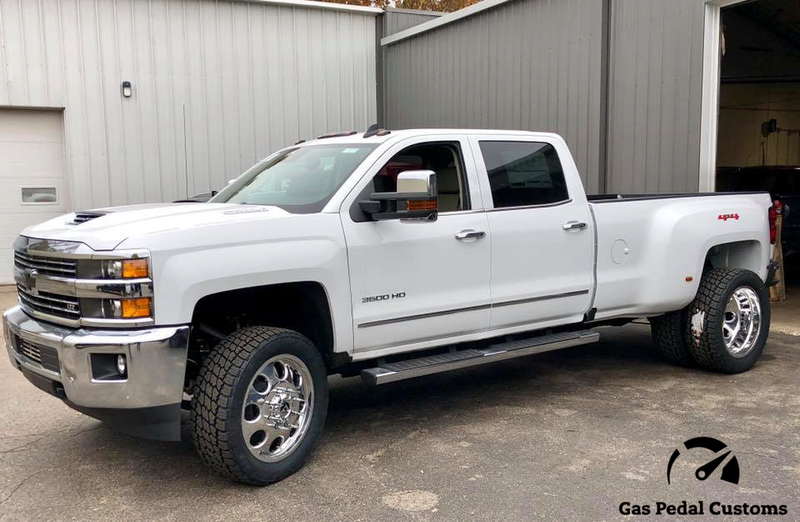 Chevy Silverado 1500 with a Zone 6.5” lift, Fox shocks, Fuel Offroad wheels, Mickey Thompson ATZ P3 tires, Metal Lugz, and a Hypertech tire programmer. 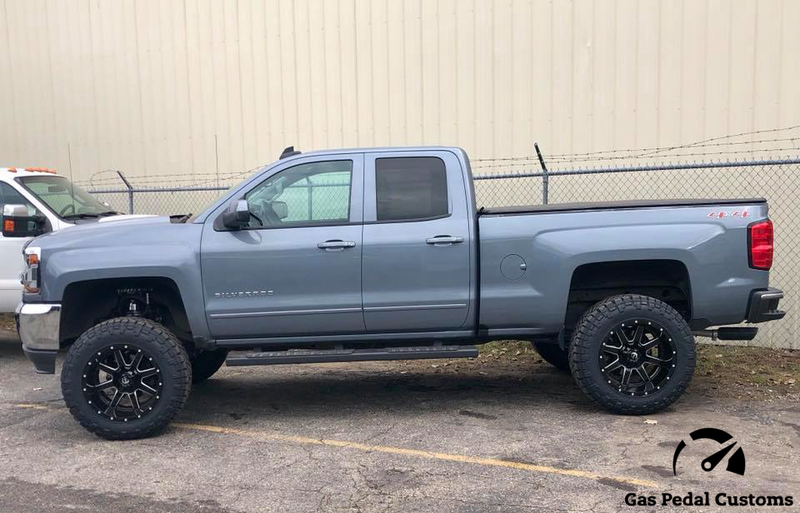 2018 Chevy Silverado 1500 with BDS suspension, Fuel Offroad wheels, and Nitto tires. 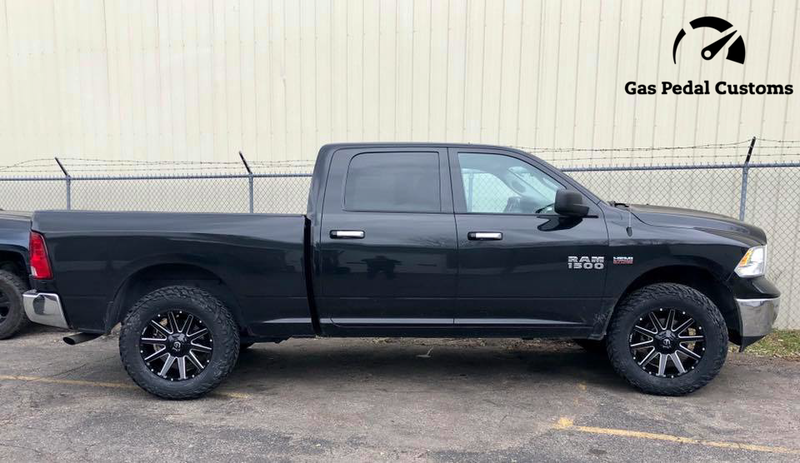 2019 RAM 1500 with Suspension Maxx leveling kit, 22” Fuel wheels, and Fuel tires. 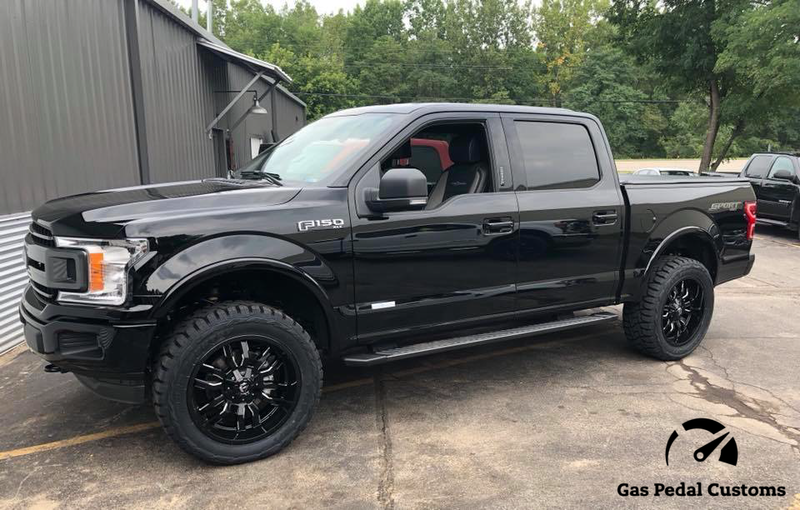 2018 Ford F-150 with 3” suspension, 22” Fuel wheels, and Toyo R/T tires. 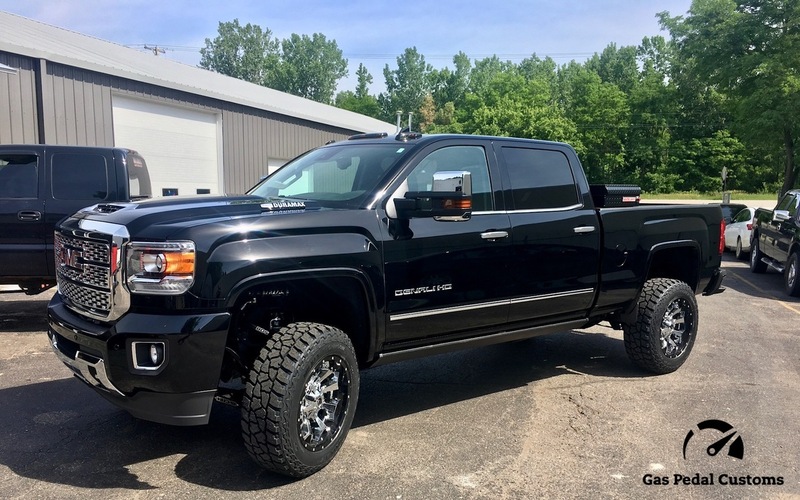 A 2018 GMC 2500 HD All Terrain with Cognito suspension with FOX shocks, Fuel Offroad Assault wheels, Nitto tires, and a BAK trifold hard tonneau cover. 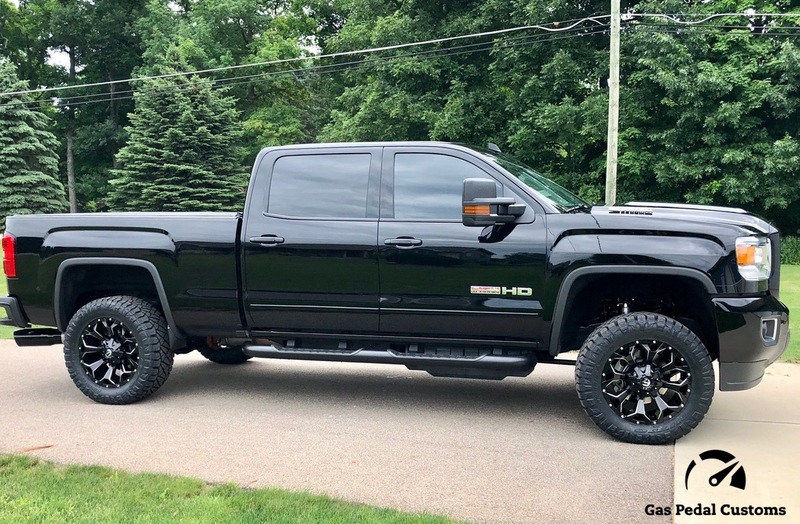 2018 GMC Denali HD with the Gas Pedal Customs Full Throttle Package: BDS coilover conversion, AMP PowerSteps, 20” Fuel Offroad 2-piece wheels, and Mickey Thompson tires. 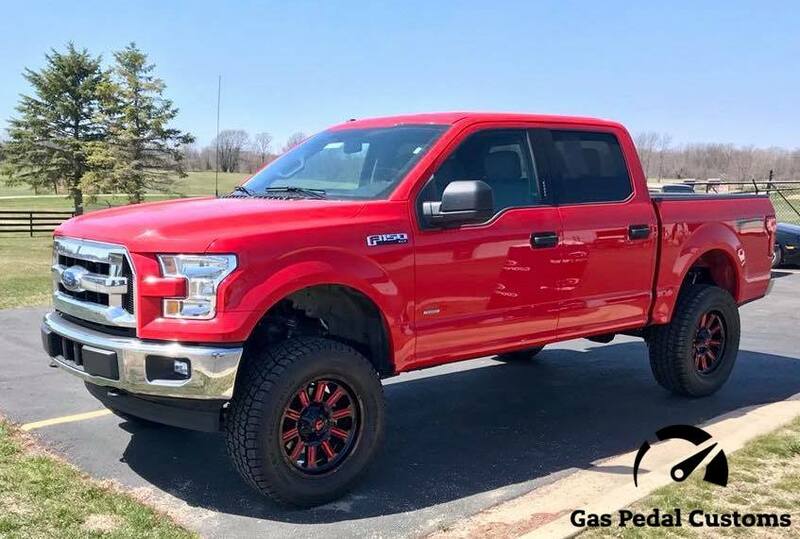 2017 Ford F-150 with Rough Country suspension, Fuel Offroad Hardline (Gloss Black w/Candy Red) wheels, and Mickey Thompson tires. 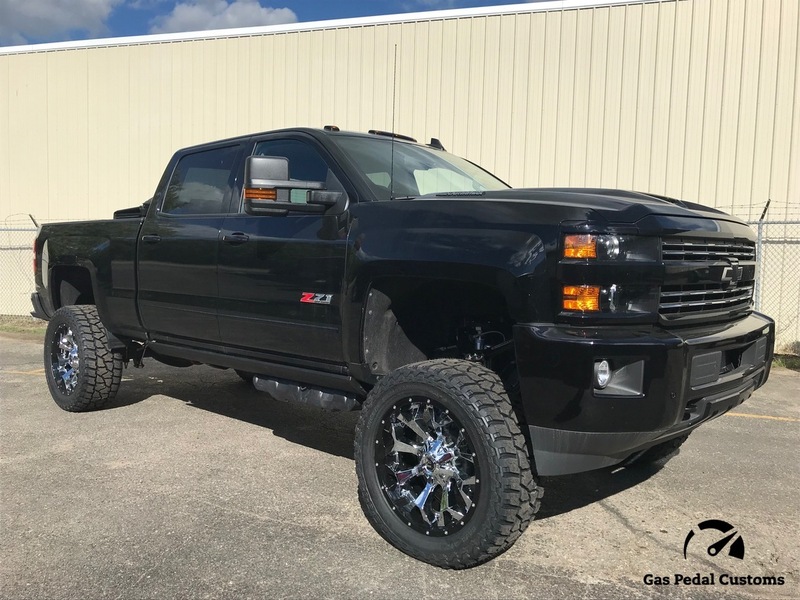 2018 Chevy 2500 HD Z71 with Cognito, AMP PowerSteps, Fuel Offroad Assault wheels, and Mickey Thompson ATZ P3 tires.